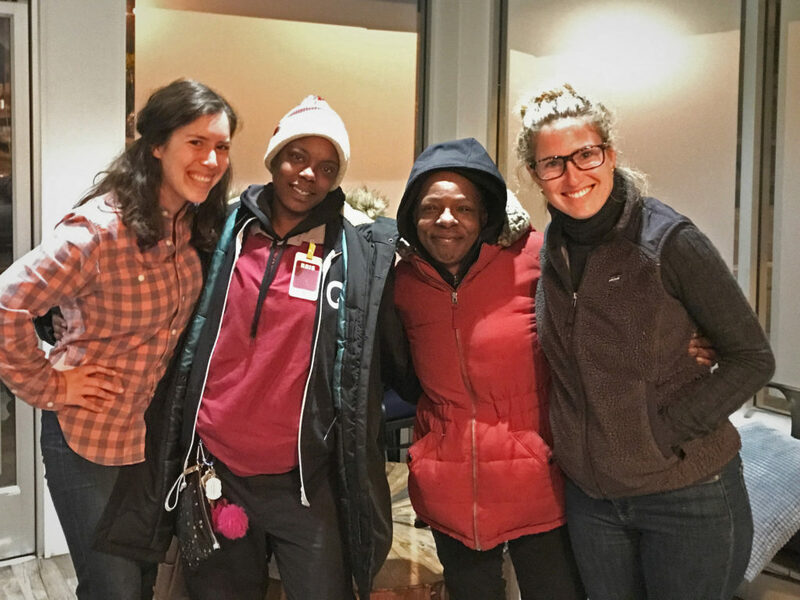 After an injury and losing his apartment, Darcel Jackson learned firsthand how a lack of internet access and digital tools can limit someone’s ability to find work, a home, and social services in San Francisco. So in 2014, he started ShelterTech as an informal project at Code for San Francisco to address the growing digital divide. In the past 4 years, we’ve grown to a 50 member strong all-volunteer non-profit, bringing free wifi and other digital tools to the homeless community of San Francisco. ShelterTech Community Representatives and volunteers after a recent datathon. Cataloging a complicated social services ecosystem and keeping it up-to-date is a major challenge for any organization, and particularly difficult for an all-volunteer group. To help in this monumental task, we developed a novel crowdsourcing solution to this problem. 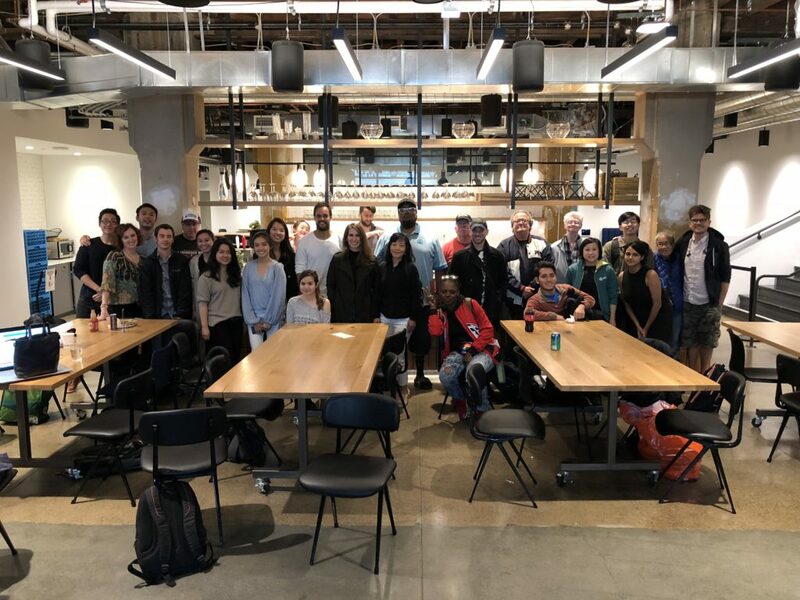 We host bi-weekly volunteer events, dubbed Datathons, that bring together people experiencing homelessness and young professionals from the tech community to work collaboratively to keep the information on the site up-to-date and formatted so it’s easy to understand. The former and currently homeless individuals serve as advisers during datathons, bringing invaluable expertise and insight to the resource guide: for example, a community kitchen may have 9am listed as their opening hours, but the line begins to form at 8am and if you’re not in line by 8:30am you won’t make it in—informal information that has typically only been communicated by word of mouth. Datathon events also foster relationships between two communities that are unfortunately often at odds and disconnected. Photo taken after a recent datathon event, hosted at Unity Technology in San Francisco. To achieve this goal, we’ve has adopted the Open Referral format — to both facilitate AskDarcel’s internal resource directory information management and to enable the application to integrate with the broader ecosystem of health, human, and social services activities in the Bay Area including 2-1-1, government agency databases, and a new human services data sharing initiative being developed by Benetech. Our adoption of Open Referral, along with our commitment to open source, played an important role in the grant application with the Mayor’s Office of Housing and Community Development. Additionally, Open Referral allows us to explore strategic data partnerships with other organizations, like 2-1-1 Bay Area and San Francisco’s open data portal, which operate on technology platforms that are also using the Open Referral model. Beyond the strategic importance of data sharing, Open Referral offers a common vocabulary and a logical model which also enabled us to save untold hours of research, deliberation, and development in the design of the resource guide. Initially, the guide had a flattened structure with each listing offering a single service at a single location, which mirrored the source material of a printed resource guide. However, this posed a major issue for duplications and didn’t accurately reflect the complex relationships between organizations, service offerings, and the locations where they are accessed. Open Referral’s Human Services Data Specification has helped our guide accommodate these details. AskDarcel.org is built on a Ruby on Rails backend, with a SQL DB, and React front end. It’s an open source codebase and public API, which we hope other nonprofits and individuals will use and even contribute to. We want to get as much usable information as possible into the hands of individuals experiencing homelessness, case workers, and government employees. We hope that people on the street, in the shelter system, and at risk of homelessness use AskDarcel to find the social services they need. To raise awareness about AskDarcel, we plan to partner with service providers, community-based organizations, and government agencies. We also want to educate the tech community about the issue of homelessness and show how they can get involved in their community. In the long run, we want AskDarcel and our datathons to serve as a model for how organizations can build accessible, open source products that give people with lived experience a seat at the table in the design and development of technology and programs that affect them. 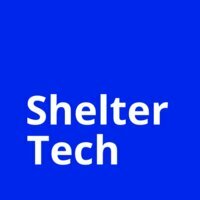 If you’d be interested in getting involved or learning more about our projects, send an email to sarah@sheltertech.org. We are currently looking for people to help with development, events, and fundraising, but are happy to find the right fit for anyone looking to contribute. Blog, SF applications, hackathons, homelessness, implementation. permalink.